Need a finance option to buy a used car? No problem! At Vivian Price Cars, we offer finance options through Close Brothers Motor Finance on all cars retailing at £2,000 or above. 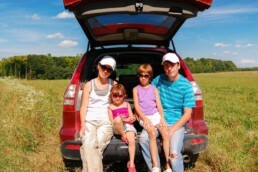 Close Brothers Finance is a trusted provider of motor finance for over 30 years. They work with over 8,000 dealerships, including ourselves, to offer flexible financing solutions to new and used car customers across the country. Vivian Price Cars is authorised by the Financial Conduct Authority to broker consumer credit using the services of Close Brothers Finance. Close Brothers offer a quick and easy application process for vehicle finance that can be undertaken in privacy at the Vivian Price Cars dealership. You’ll receive enhanced rights from an asset-secured loan, with a fixed rate of interest so you can spread the cost of buying a used car without leaving a dent in your finances. We offer finance through Close Brothers Motor Finance for conditional sales. You will pay an initial deposit plus an agreed monthly repayment over a set term and once you have made your final payment, you will own the car. You can learn more about conditional sales here. Close Brothers will undertake a credit check and advise you how much the deposit would be, the APR you’d pay and how much monthly repayments would be. They’ll outline the agreement in plain English and offer a no-pressure approach to finance, just like we take with our used car sales. If you’d like to discuss finance options, why not get in touch? You can book an appointment at our forecourt or give us a call on 0117 290 134. Find all of our contact details on our contact page, or drop by our used car dealership in Winford, Somerset. READY TO DISCUSS USED CAR FINANCE OPTIONS? Contact Vivian Price Cars using the form below to find out more about our finance options and to see if you qualify. We’ll help you arrange a budget that helps you buy a high quality used car with affordable payment options.